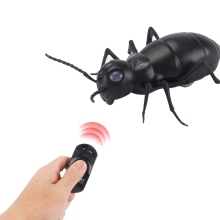 This infrared control ant is giant which is bigger than we usually see but it is very lifelike. 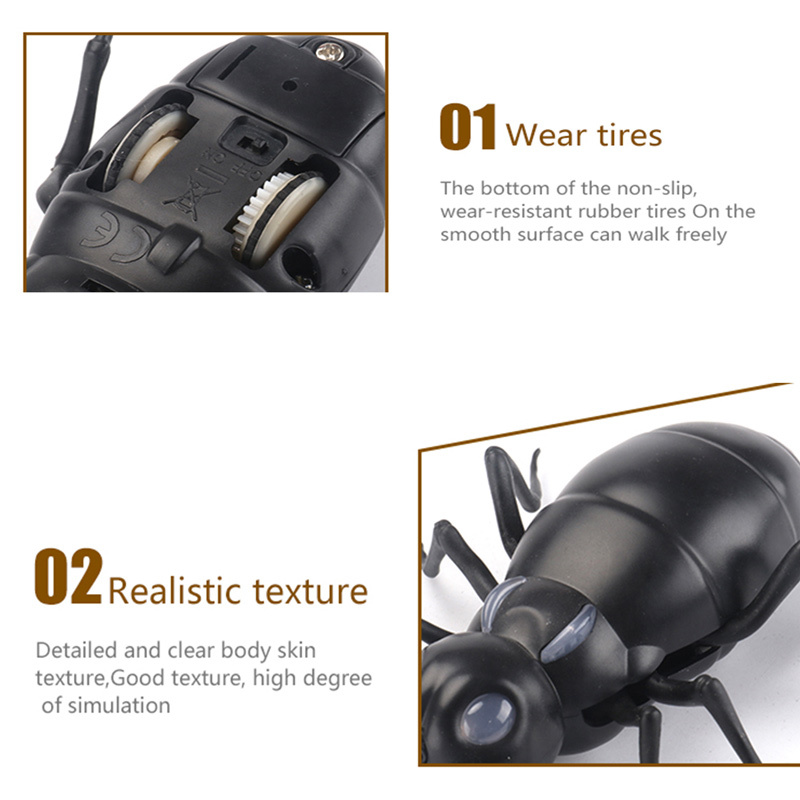 A good toy for your kids and it will help them to know some knowledge about insects and be good for improving the interest of study. Let them learn to grow in playing! 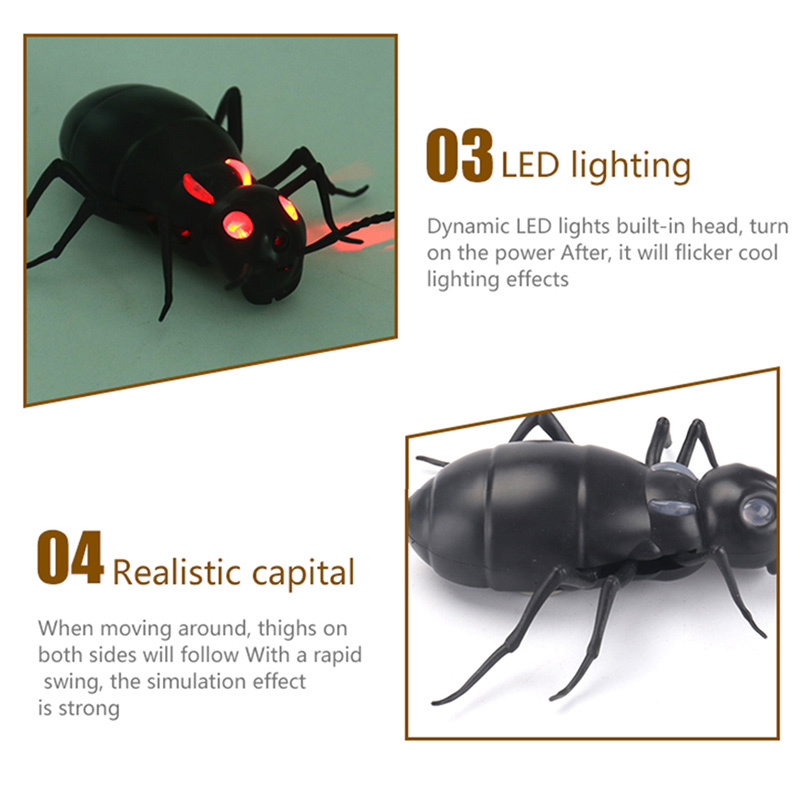 Lifelike movement, infrared remote control, interesting toy, wonderful gift for kids! 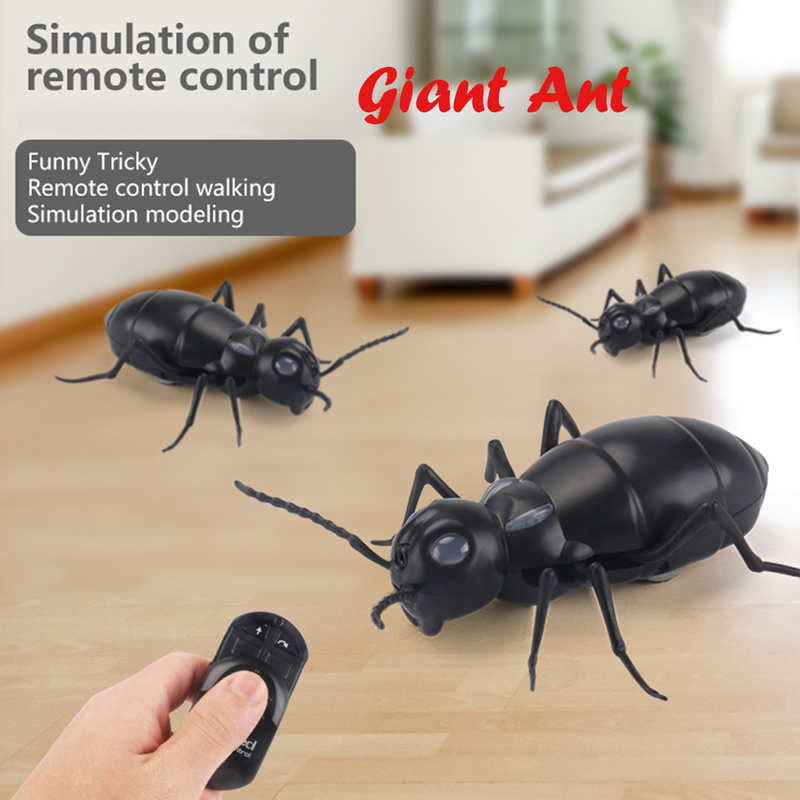 Super realistic giant ant, flexible moving body and flashing eyes, 360 rotation, free swing feet. 3 different frequencies available for play. 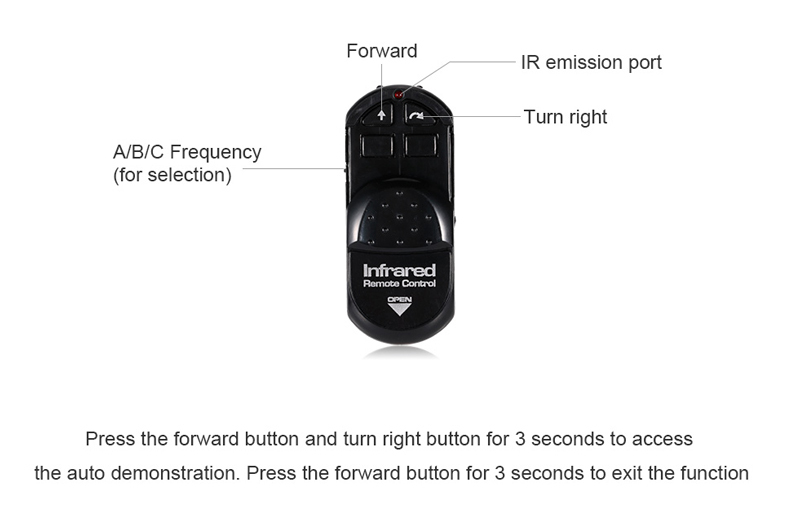 You can choose the A or B or C channel, and then press the forward button to start A or B or C frequency operation. This RC model is not a toy and is not suitable for children under 3 years old, keep it away from children.